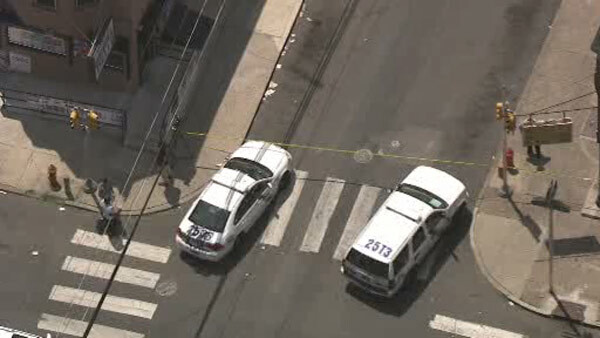 HUNTING PARK (WPVI) -- Philadelphia police are investigating a shooting in Hunting Park that has left a man fighting for his life. It happened just after 2 p.m. Thursday in the 3800 block of North Percy Street near Pike Street. Police say a man, said to be approximately 30-years-old, was shot in the back of his head. He was taken to Temple University Hospital in extremely critical condition.